I keep track of statements made by various camera executives in my Claims to Remember article. I've just added Nikon's "Our goal is to become number one in the full-frame market for both mirrorless and DSLRs" to the list (quote from dpreview interview). Yes, that last one is a previously stated goal for Sony, and as far as I can tell, still active. In particular, Canon, Fujifilm, Nikon, and Sony have overlapping and conflicting goals. They can't all be in the top three and they can't all be number one in any sub-market. But there's nothing new in all these statements. Nikon, for example, has had a decades-held deep goal of catching and passing Canon as the leading camera supplier. It's one of the things that led to the Coolpix, Nikon 1, and KeyMission bull rushes, for example. More recently, Nikon seems to have narrowed their goal to the much more specific (and potentially winnable) full frame market, but I'll bet you big money that if we were to walk the halls of Nikon HQ in Tokyo we'd find that there's still a (now) unstated goal of topping Canon. We all need goals. Without goals you are taking a random walk. Large multinational corporations try to avoid random walks, thus they all have goals. I take the clear overlap of the Japanese camera companies' goals to be a positive sign: they're getting more competitive. Back in the first decade of the century, the ever-increasing sales volume basically floated all boats in digital cameras. Even if you had a specific market share or competitive goal, it didn't really matter if you hit it or not because your sales and profits were still going upwards as long as you kept iterating and executing. A few companies fell out during the long and dramatic digital ramp up (1999-2011). Pentax because it changed ownership twice. Minolta for the same reason. It's tough to change ownership and still focus on products. You generally spend most of your time integrating into the new organization and getting new management buy-in for everything you want to do. In consumer electronics, that can put you a generation or two behind very quickly. Another factor entered into play, too: most of the Japanese companies that make cameras aren't exactly consumer-oriented companies. Canon, Panasonic, and Sony have huge consumer-fronting organizations, but with Fujifilm, Olympus, and Pentax those companies actually have far larger presence in the business-to-business or medical orientations, with cameras sold through dealers being almost an anomaly to their primary businesses. Nikon was bimodal. It has two large divisions. The Precision group sells huge semiconductor manufacturing equipment business-to-business. The Imaging group sells small cameras and lenses to consumers. The digital sales run-up actually flipped which division was bigger, and even with the strong downturn in camera sales since 2013, Imaging is still bigger than Precision. Today, Nikon is close to being a half consumer, half business-to-business company. Why do I mention this? Because to sell cameras to consumers, you need a consumer front. There's a reason why you're more likely to see Canon, Nikon, and Sony as the primary (and maybe only) products carried by your local dealer. This makes the other companies' road to their stated goals more difficult. As a consumer, you tend to see only Canon, Nikon, and Sony. This is why I wrote a long time ago that Pentax really needed to change their sales method to direct-to-consumer. As long they think they need to rely on dealers, they've got problems keeping up with the Joneses. They don’t have many dealers. They have little consumer visibility any more. Okay, I've taken a long route—as usual—to get to today's thought. Photokina and PhotoPlus Expo both showed that we're going to have a very competitive pile-on in full frame mirrorless cameras. Canon, Leica, Nikon, Panasonic, and Sony are all there with competitive products and looking like they'll be aggressive in those moving forward in the future. Fujifilm is trying to bridge full frame by positioning just below (APS-C) and above (Medium Format), which gives them something unique to market. It's Olympus and Pentax that look like they don't have a clear strategy and products to define that at the moment; and neither are in the now busy full-frame mirrorless game. I suspect that they're just responding slower to the trends and will get around to it, though. I've been testing the Canon R, Nikon Z, and Sony A7/9 models and the accompanying lens sets a lot lately. They're all really good products, and highly competitive with one another. As users, that's exactly what we want: we want the camera companies to see and respond to clear challenges from each other and produce better products as a result. It's happening today with full frame mirrorless, and I hope this continues for some time, as we'll only benefit from that. 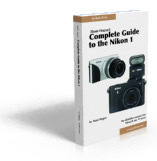 So, will Nikon hit their stated goal? I don't care. You shouldn’t either. What I do care about is that they try ;~). Because by trying, the Z products—which are already really good—will only get better. And in so doing, that will force Canon, Leica, Panasonic, and Sony to make better full frame mirrorless cameras, too.